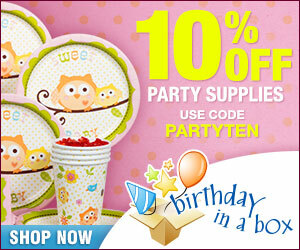 There are lots of Graduation parties, but there are not that many Graduation party games. If you would like to add a game to your graduation celebration then we offer you a few games to consider for your event. This is a Graduation Game for kids graduating Kindergarten, pre-school or any graduation ceremony for kids under 10. This game is played like Pin the Tail on the Donkey, but instead of a Donkey you need to create a picture of a Graduate wearing a cap and instead of tails use tassels. Then be sure to mark a spot on the cap where a tassel would go and this would be the where you want the tassel to be pinned. Rules of Play: Securely Hang or tape the Graduate on a door or wall. Then place each child's name on a tassel. Then one at a time, a child grabs their tassel and is blindfolded. They are placed about 3 - 5 feet away from the Graduate poster and spun around 3 to 4 times in order to disorient them and point them towards the poster. The kids can then move forward and try to pin the tassel on the hat, by walking forward and with one hand place the tassel on the wall or poster. The player closest to the actual cap tassel mark on the hat is the Winner. 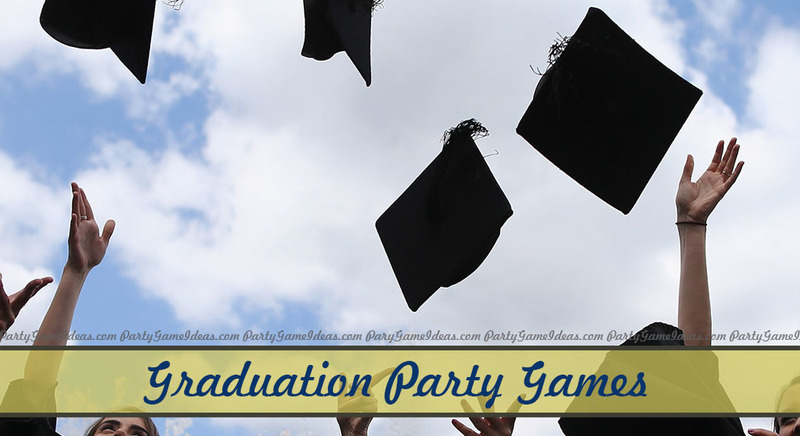 Over the years, we have received many emails asking whether we have any Graduation Party Game? Often I tried to imagine what games would a graduate want to play at a Graduation Party and having been around teenagers, I came to the conclusion that teenagers don't want to play an organized game at their Graduation Party. Then the other day while working on something else the idea of a Graduation Trivia Game came to mind and I thought well it might just work. This Graduation Game is geared to adults and teens but not embarrassing to the graduate. So I did a little research on when people Graduated High School and came up with our first printable Graduation Party Game! Hand out a Graduation Game sheet all guests and give the them a few minutes to try and identify what year these famous people graduated high school. It should take about 3 - 5 minutes to play to answer all the questions and write in the tie breaker answer. Then go over the answers, find Graduation Game Answer Key here and score one point for every correct answer. In case there is a tie in the regular scoring of the Graduation Game, then use the tie breaker to determine the winner of your party game. Get Free Graduation Trivia Game now. 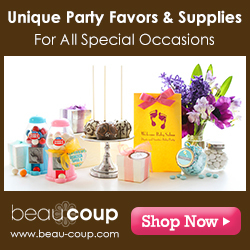 Hosting a Graduation party we found some great Graduation Party Supplies you might enjoy.